Now that the Invitational is over, we’re starting back up with our social dance classes! 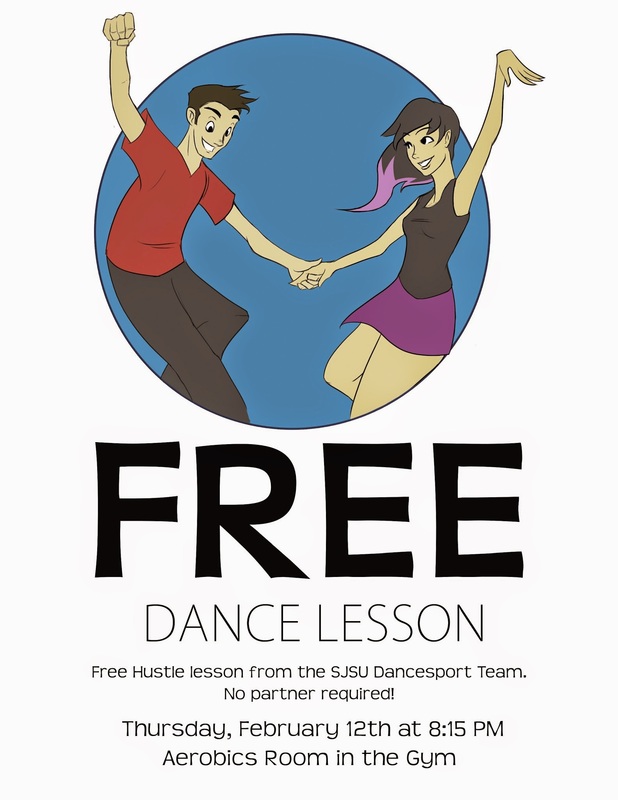 Classes will be held from 7:30 pm to 8:30 pm every Tuesday in the SJSU multi-purpose room (downstairs in the gym / Sport Club). Classes are only $5 and no partner or experience is necessary! Drop by some time and learn a new dance! 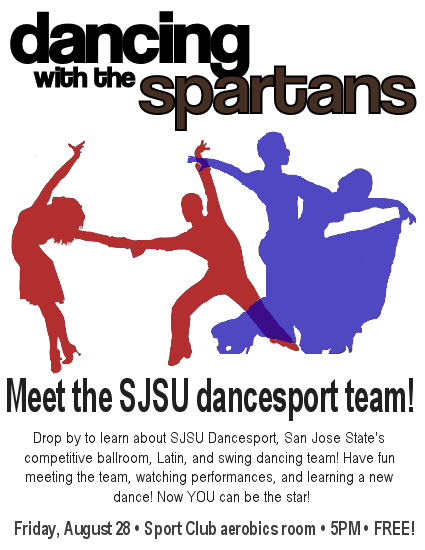 Classes will also count for homework credit for anyone enrolled in an SJSU dance class. Thank you to everyone who came to the first annual Spartan Invitational Ball — you all helped make yesterday a fantastic day for everybody! The judges were fabulous, our pros were phenomenal, and the entire day was full of great dancing. We hope you had as much fun as we did, and we can’t wait to have everyone back next year! Keep checking back here for information on the 2015 Invitational — we’re aiming for mid October. In the mean time, you can go ahead and check out the results from this year. If you have feedback about this year or suggestions for next, don’t hesitate to get in touch! Hi all! If you haven’t already, check out the competition’s schedule page for an overview of competition day!